Downfall of demo versions – why developers no longer release the demos? Nowadays, demo versions of games are a real rarity. What prompted the creators to give up this form of promotion and was it really such a bad thing? In the previous decade, demo and shareware versions were a natural part of the industry, and for many players they were the basis for purchasing decisions. The creators eagerly made small parts of their games available, believing that they would reach a larger audience. However, the situation changed with the digital revolution and demos began to fade. Currently, such a form of game promotion almost doesn’t exist, and when it occurs, it is usually long after the premiere of the full title, as an attempt to save the declining sales. What motivated the creators to change their attitude to the “demos” liked by the players for many years? One of the main reasons for the fact that publishing demos has become more of an exception than a rule is that they have proven not to fully fulfill their main marketing function. At least they weren’t as effective as other forms of promotion, with trailers and gameplay videos at the forefront. The film materials allow the creators to show the best, most refined fragments of the games very precisely, while hiding the lesser features or disadvantages of the product. Such maneuver efficiently generates a so-called “hype” – by carefully deciding what the player is meant to see before the release. Demos, however, if you don’t want to risk a wave of accusations of lies, must reflect the actual state of the game, with all its pros and cons. The result is that a person interested in a given title, after trying a demo version, may come to the conclusion that the game is not worth buying, because playing doesn’t meet the gamer’s expectations. This doesn’t necessarily have to be due to the poor quality of the product itself or its flaws or bugs – it may just as well be a matter of taste. After all, not everyone likes the same games. 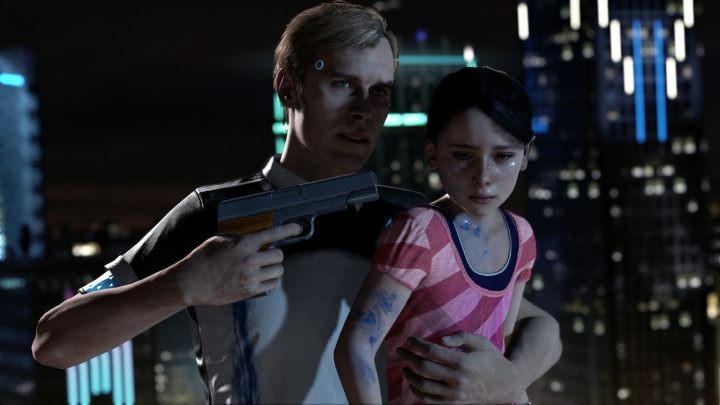 Detroit: Become Human is one of the few games of the year to have offered a demo version before the launch. 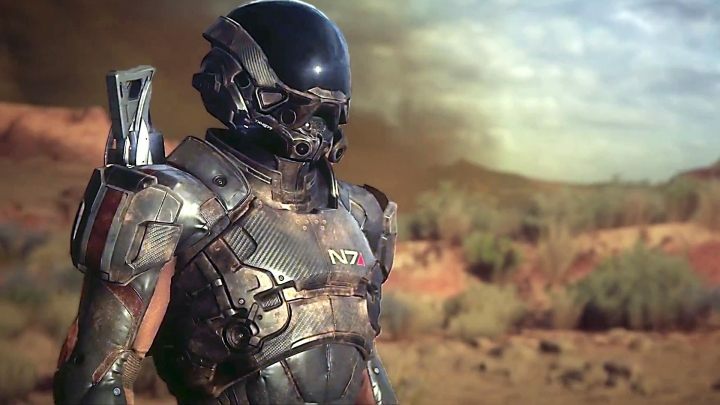 Analysts point out that demo versions are more likely to harm game sales than increase them. Such a conclusion was presented, among others, by Jesse Schell during the presentation at DICE 2013. The demo version is a much harder form of encouragement for players to buy the full version, so in order not to dampen the player with a high level of difficulty, it usually contains the much easier beginning of the game. And this one is often quite boring – you have to familiarize yourself with the interface, learn the basics of the game, check the introduction to the game’ world. Many titles develop their wings only after we break through the prologue. And devoting too much of the title’ story to players to enjoy the right game after the prologue is also not the most sensible tactic, as it may be enough to satisfy the players’ needs, so that they don't feel the need to prolong the game for a longer period of time. This is one of the demo paradoxes – they must be good enough to encourage a gamer to buy the full version, but at the same time they can’t be too extensive, cause such a free sample may be enough to satisfy a player. Balancing all these elements is not an easy task. Theoretically, the solution to problems like how to show the best features the game has to offer with low difficulty and limitations of content to not discourage a gamer from playing the full version, is to build a demo from a scratch, with unique content different from the full game. A bonus level or a heavily rebuilt part of the campaign usually solves the issue. However, such approach requires much more effort, and still doesn’t allow to be 100% sure that the player will enjoy the game – what cannot be said in a case of a much simpler (and safer) trailer. Therefore, it is hardly surprising that developers choose a solution that is cheaper, easier and gives more reliable results. 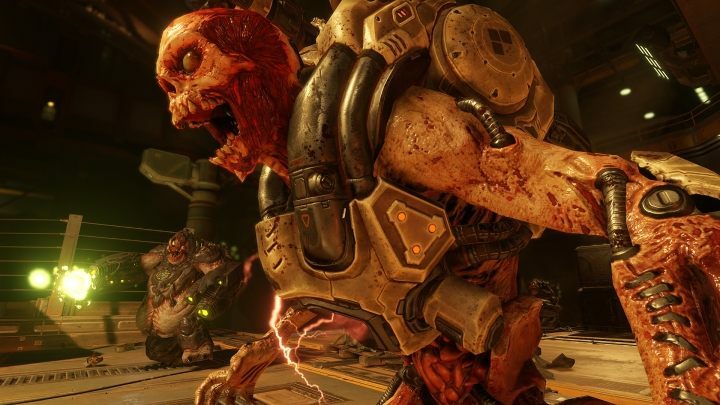 DooM has finally received a demo version, but after a few weeks after it hit shelves/digital distribution. One of the most common excuses of computer pirates downloading illegal software versions is that they download new games only to check how they work on their PC’s or whether they are actually good enough to buy them. The release of a demo version by the developers successfully pushes this argument out of their hands. Sometimes, however, the demo version turns out to be a very valuable help for pirates. This was the case, for example, with Resident Evil VII, where both the demo and the full version were protected in the same way, using Denuvo. Since the demo was released a few weeks before the full version of the game was released, the pirates were given some extra time to work out the security features and as a result the game was hacked very quickly. Otherwise, the title would probably have remained unavailable to pirates for a longer time, including the key sales weeks since its launch. If we take a closer look at the changes that have taken place in the gaming market in recent years, we will notice that although demos have almost disappeared, it is not the case of an empty space. A number of other initiatives have appeared in place of the demo versions and are replacing them more or less effectively. Especially popular are closed and open beta tests of bigger titles, where creators have an opportunity to check the network code of their production in conditions of heavy load, and players have a chance to try out the game much earlier with valuable feedback. A few weeks before the premiere, the devs announce that it will be possible to test a part of their game for a few days. 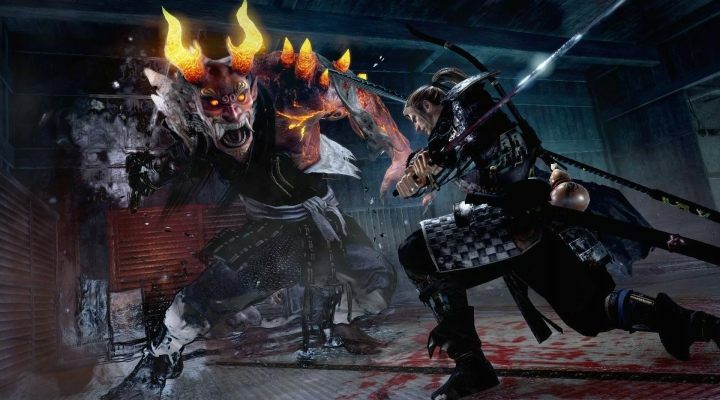 Such an opportunity lasts only a few days and usually is focused on network aspects (although it is not a rule, as exemplified by the beta of NiOh), but in return, it offers a significant part of the game, definitely larger than the classic demos. Numerous open beta tests have allowed all interested gamers to try out NiOha thoroughly before its launch. In the case of Steam, the demo has successfully been replaced by the product return program: any product purchased can be returned without giving any reason within two weeks of the purchase – the condition is that the buyer cannot play it for more than two hours. This is usually enough time to find out whether you like the title or not. Typical demos quite rarely offered a longer time of fun. This may not be the most convenient solution, as the game has to be bought first, but it covers every single production available on Valve's distribution platform. In addition, Electronic Arts often offer trial versions of their games as an incentive to subscribe. These are usually full versions of games with a ten-hour time gameplay limit. Trials sometimes also appear in console games, although it happens rather rarely and usually involves much more restrictions, whether in terms of the content or the time we can spend with the selected game. After the premieres, the publishers decide, from time to time, to take part in free weekends, during which gamers can test the given productions without any restrictions for two or three days. Although none of these initiatives is a fully-fledged substitute for demos, they’re quite effective in compensating for lack thereof. So, there are no demos anymore, because the developers that used to create them decided that such form is not worthy at all, and the gap has been successfully filled with other forms of promotion – giving players a try before buying the final product. However, I can't help but wonder – if we were still overwhelmed with demo versions, would we play them with a few exceptions? As a part of Electronic Arts subscription you get access to extensive trials of the most important games of this developer. In the past, playing demo versions from magazines or even from the web was an important part of the gaming experience, because there was less access to the full versions than today. During the dominance of physical retail, the expansion of the gamer’s collection didn’t take place at the pace it does today, when the premiere titles are actually quite expensive, but they’re getting cheap quite quickly on digital distribution channels, where you can often buy them for few bucks. Moreover, games regularly appear in extremely attractive packages such as those organized by the Humble Bundle, and publishers often decide to give away for free really great amount of games (although they might be slightly older). The final result of all this is that while in the past buying a full version of the game was a long-awaited event, today my shelves – both physical and virtual, such as those on Steam, PS Store or GOG.com – bend from the hundreds of games I don't have time to play. I think that if demos came back, I wouldn’t spend my free time on playing them, when the “pile of shame” (the earlier mentioned and yet not played dozens of new games) weighs heavily on my game storage. Sure, sometimes there are games that I would very much like to try out before buying, but these are rather exceptions. In most cases, thanks to pre-release videos and various reviews, I know exactly what to expect from a given title. And since in most cases I start shopping a long time after the release (because I still have those few hundreds of other games to play with...), games cost so little due to the digital revolution, that even if they don’t suit my taste, it won’t hurt me in that much. So maybe there are no demo versions anymore because... we just don't need them anymore.